There has been a great push to find more environmentally friendly ways to do, well, everything, and more and more people are coming up with ideas to make life more eco-friendly. One such idea came from Nanollose, who has created a new way to make wool that is both greener and more friendly to animals. Tree-Free Sweater – A major leap step towards sustainable fashion. 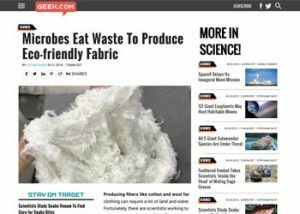 Nanollose, an Australian-based biotech company, introduced its first sweater made from “tree-free” rayon fibre, an innovative textile produced from natural cellulose extracted from coconut by-products. 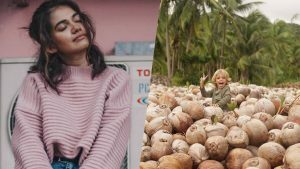 Biomaterial technology company Nanollose has created what it believes is the world’s first sweater made from sustainable coconut waste. According to the Australian company, the new sweater is an industry breakthrough, as more and more manufacturers and designers are looking for more sustainable, ethical materials. 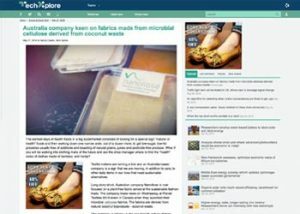 Biomaterial technology firm Nanollose has created a garment produced from the company’s “tree-free” rayon fibre, which is sourced from sustainable coconut waste..
Nanollose has made a test garment using its Nullarbor fibre, marking the first time clothing has been created using its tree-free rayon fibre. This is in contrast to the clothing made from traditional rayon fibre that is produced through environment challenging wood pulp processing. The garment was created using the latest 3D sweater-knit technology. 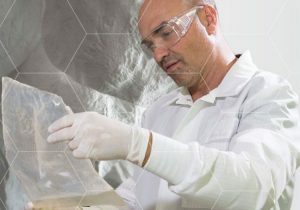 PERTH – Australian-based biotechnology company Nanollose Ltd, says it has created the first knitted sweater made with its ‘Nullarbor’ branded fibre, which is said to be an environmentally preferential alternative to viscose. 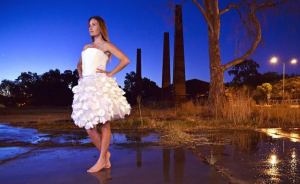 An Australian company has come up with an innovative way to make cellulose-based fabrics such as rayon and viscose. 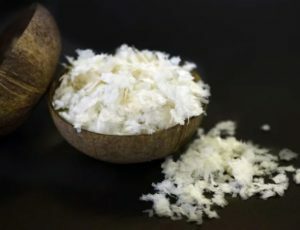 Instead of using chemicals to extract cellulose from cotton, trees or bamboo, Nanollose lets a bacteria called Acetobacter Xylinum eat agricultural waste (their initial run used coconut byproducts) and convert its sugars into cellulose. 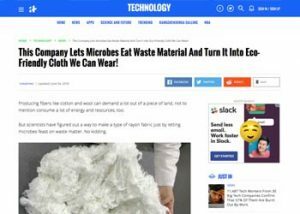 This Company Lets Microbes Eat Waste Material And Turn It Into Eco-Friendly Cloth We Can Wear! Producing fibers like cotton and wool can demand a lot out of a piece of land, not to mention consume a lot of energy and resources, too. Producing fibers like cotton and wool for clothing can require a lot of land and water. Fortunately, there are scientists working to create more modern, eco-friendly sources.